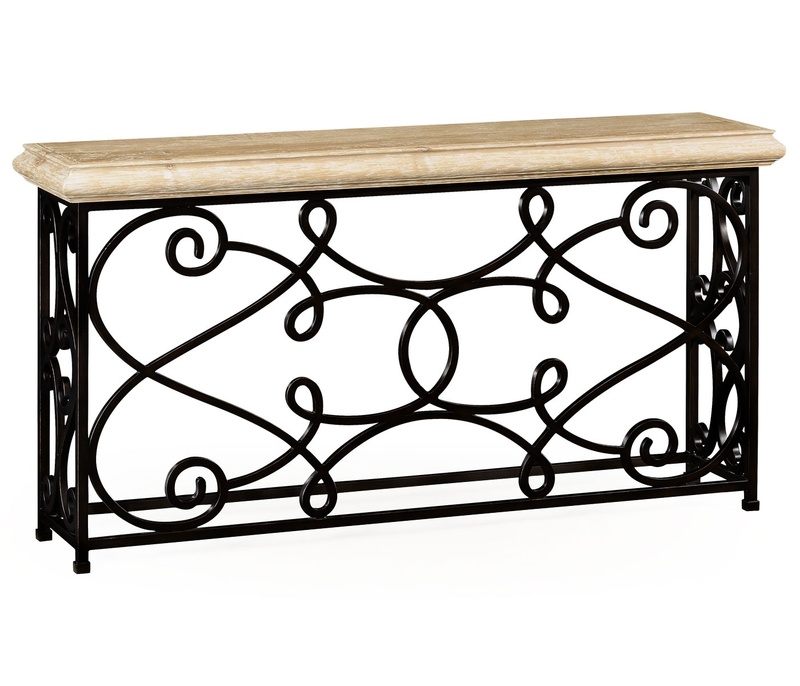 Placed along a wall or in a hallway, this stunning Jonathan Charles Console Table With Ornate Iron Frame is no less eye-catching thanks to an elegant and beautiful look. 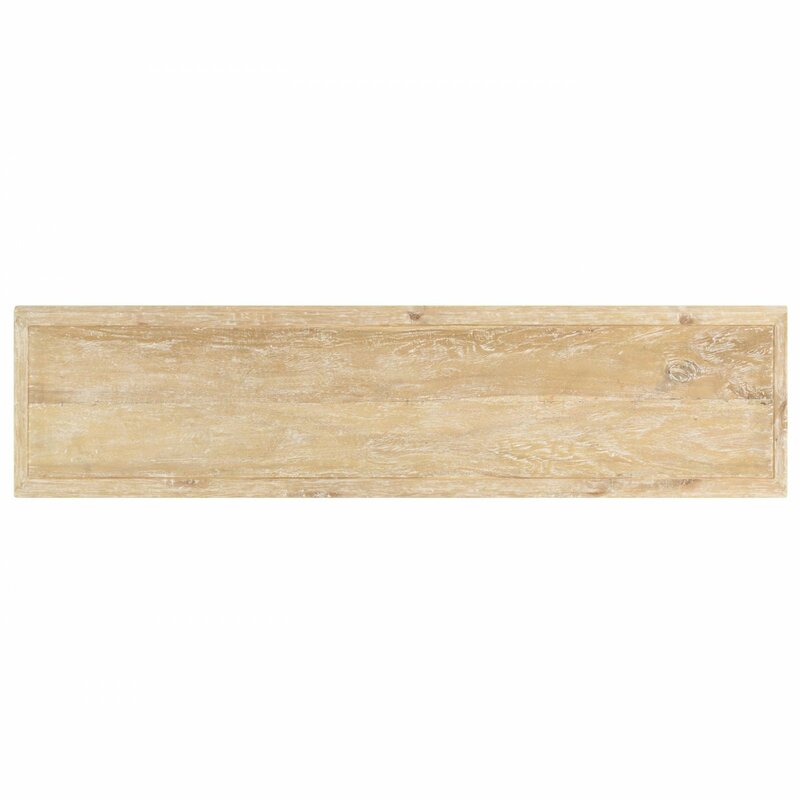 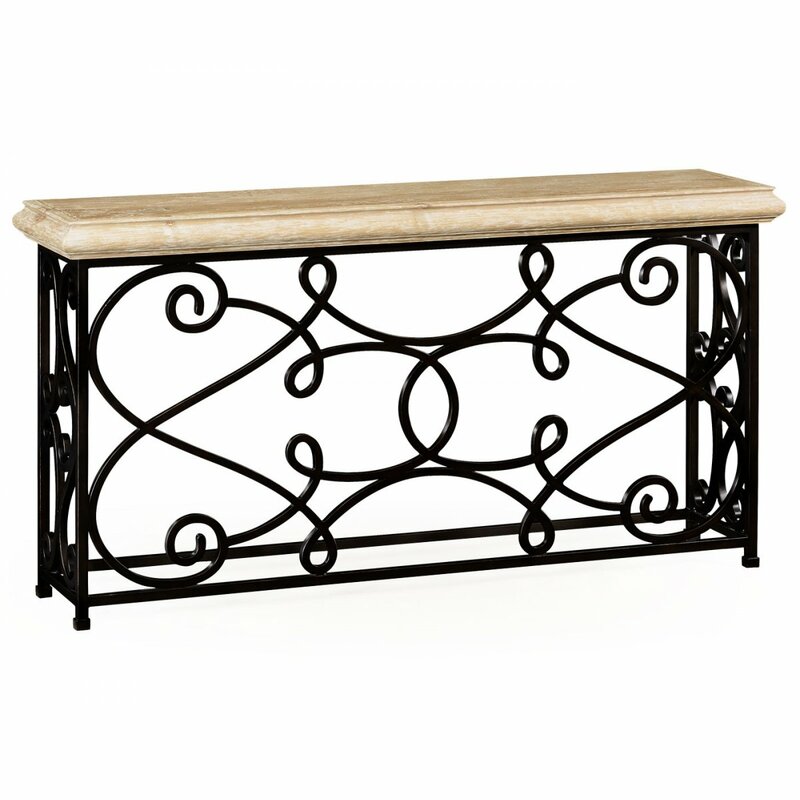 Stylish Jonathan Charles wrought iron rectangular console table features a scrolling Rococo openwork design surmounted with a substantial limed wood panel. Coordinate with other furnishings from the Jonathan Charles Artisan collection.